Today, for click here Follow Friday, I want to introduce you to the marvelous, magnetic, mesmerizing Lynn Rose. I urge you to learn more about Lynn. Today marks the official launch of my new book, Beyond Sugar Shock, and I've been seeking to provide lots of fun programs and activities for you. To my delight, Typepad, the easy-to-use blogging platform where I've been hosting this Sugar Shock Blog since 2005, has generously offered to help me hold a contest. Calling all would-be bloggers or current bloggers (on other platforms) — because the winner of this contest will get a year of Typepad Unlimited ($179.40 value). Now, if you're a blogging newbie, this contest should be especially appealing. And it's also ideal if you're a person with a strong, savvy voice about a certain topic. In particular, sugar and carb addicts and people with weight goals, this is your big chance. If you've been thinking about writing a blog about going sugar-free, leading a healthier life, or sharing tasty recipes, I urge you to apply. This is an ideal opportunity for you to write about a topic that's dear to you — and get support from your readers in the process. 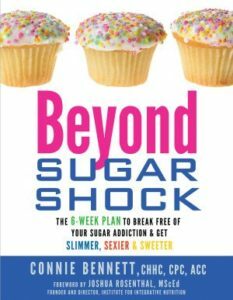 By the way, in my book, Beyond Sugar Shock, I discuss the value of blogging or journaling to help you release your sugar addiction. You even get some helpful blogging pointers from veteran journalist Dana Kennedy, who ran her popular Year Without Candy blog from Feb. 28, 2010 to Feb. 28, 2011. Entering the contest is simple. In order to win, you have to be either new to Typepad, or have to want to migrate your blog from another provider to this more-user-friendly platform. To enter, leave a comment on this post, stating why you want to win a year of Typepad Unlimited. We invite to decide in advance the goal and theme of your blog. Tell us the blog's topic and title, even if it's tentative. Will this be a weight loss blog? Will this be your safe haven where you can write about eating sweets instead of splurging? Would you post recipes? Your deadline to enter the Typepad giveaway is Friday, June 15 at midnight (EST), and I'll announce the show later that day. To select a winner, I'll confer with Typepad and a panel of two other experts (like on a TV game show) to select that special person, who seems most motivated to create and maintain her or his blog to further an important goal. I'll announce the winner on June 20. And please, of course, only entry per person, please. Remember this giveaway is only open to those who aren't already blogging with Typepad. So why would you want to be with Typepad? From my perspective, as a non-techy kind of person, I've found it easy to learn. What's more, their customer service is excellent — you can actually reach a live person via a Help ticket. That's one of my favorite features of Typepad. If I ever have a question about how to use a particular function or program, I just fill out a support ticket, and a Typepad representative generally gets back to me within about 24 hours with a detailed answer. I just love that Help section. It makes life so easy for me. Because they're so good at explaining things, I no longer have to scramble to find answers. So, what are you waiting for? Enter this blogging contest now. Please note that while Typepad agreed to sponsor this giveaway, I will choose the winner. In addition, all opinions are my own, and I wasn't compensated by Typepad in any way to sing their praises. I've just been a happy customer for seven years, because it's so easy to use! By the way, I'm thrilled to report that Typepad is also doing something else very nice for me. Any moment now, my Sugar Shock Blog will be featured shortly in the Everything Typepad section. Now just post a comment here to enter the contest and get one year free at Typepad. Special thanks to Hollywood Housewife for giving me some ideas regarding this contest. Your treat — much better than any candies you can eat — is to watch and listen to order now “Koyaanisqatsi” by one of my absolute favorite composers, Philip Glass. (Thank you, MGM Digital Media, for providing the entire score on YouTube and the dazzling visual imagery from the talented Godfrey Reggio. In case you’re in the dark, Phlip Glass is one of the most influential and prolific modern American composers, who work has often been described as minimalist. So, can you tell I’m a huge, huge Philip Glass fan? Over the past decade or so, I’ve had the pleasure of attending a number of concerts with the Philip Glass Ensemble — such amazing works as “Einstein on the Beach,” “Beauty and the Beast” and “Satyagraha” (which the Metropolitan Opera is playing this month). And I’ve rushed to see movies such as “Kundun” and “The Hours” because they featured his music, too. What’s more, as a journalist, I’ve also had the honor of interviewing Philip Glass two times. By the way, I’m still waiting to find out if Philip Glass can appear on my Gab with the Gurus Radio Show — stay tuned, because I’m hopeful. But last night was one of the most profound, magnificent art experiences of my life. I had the profound pleasure of attending Koyaanisqatsi, performed by the New York Philharmonic and conducted by long-time collaborator Michael Riesman, who is also a composer, conductor, keyboardist, record producer, and music director of the Philip Glass Ensemble. If you enjoy Koyaanisqatsi on YouTube, just imagine the entire New York Philharmonic playing it! Luscious, rich and amazing! By the way, when you’re done listening to Philip Glass, check out music from Andrew Shapiro, a composer I had the pleasure of meeting at Koyaanisqatsi. So what did you think of Koyaanisqatsi? Share your thoughts here and on my Facebook fan page. Do you find yourself getting blue, discouraged or frustrated at times? What you need is a regular inspirational boost. And you can get that, thanks to my friends at the Spiritual Cinema Circle. Being a member of this movie club is one of the most loving things you can do for yourself or your loved ones. You’ll be intrigued by “The Bling of Being,” which is about a modern day Holy Man, who has advised celebrities, presidents, rock stars and elderly people. I strongly recommend that you check out the exciting Spiritual Cinema Circle. What’s cool is that you can even join for a free trial. Join Spiritual Cinema Circle now and please let me know what you think. Disclosure: Please note that I’m a hearty affiliate of the Spiritual Cinema Circle so if you order, I’ll get a small commission so I can kept bringing you quality information, programs and services that sweeten your life. Are you a sugar addict? Would you like to easily shed excess weight? Do you often get headaches, “brain fog” and fatigue? And are you suffering from a low libido, severe PMS or infertility? Either way, this is for you. 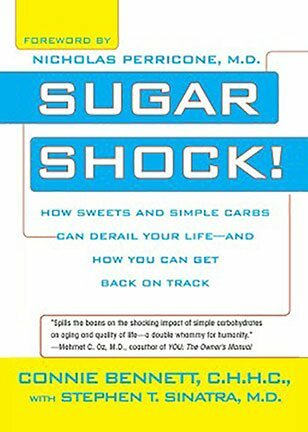 I’m really excited and thrilled to announce that – after repeated requests from many of you – the follow-up book to my book Sugar Shock is on the way. Sugar Shock’s successor is coming to you, thanks to my new publisher, Hay House, which is the international leader in self-help and transformational publishing. How will my next book help you sugar addicts? Well, let’s face it, cutting out – or even cutting back – on sugar and refined carbs is really tough for most people. In fact, sugar addiction is a challenging situation to solve EVEN if you know that overcoming it can help you to lose weight, get more energy, boost your libido, prevent or reverse diabetes and live longer. buy now How is Sugar Shock Different from my Next Book? Naturally, you may be wondering how this new book will be different from my first book, Sugar Shock. Sugar Shock is primarily an exposé that spotlights sugar’s many dangers. One of my goals is for it to shock you into wanting to kick your bad habit. For instance, this book includes scary information about the link between excess sweets and obesity, memory loss, mood swings, troubled relationships, heart disease, diabetes, cancer, female problems and early aging. 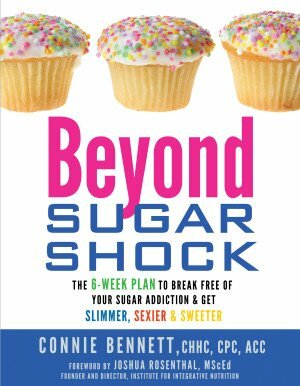 On the other hand, my next book will give you a simple, compassionate, step-by-step plan to help you stop sugar shock and break free of your sugar habit for good. In other words, my first book Sugar Shock dishes the sour DIRT about sweets. Now, my intention with Sugar Shock’s baby (so to speak) is to tell you HOW to ditch desserts and get a healthier, happier, longer and much sweeter life. You'll undertake simple, interactive adventurcises™ (my word for adventurous exercises), which will drive you to major self-discoveries..
You’ll detox gradually so that your body, mind and even soul won’t go into shock as you move away from your sugar obsessions. You’ll get healthy meal plans and tasty recipes from a recognized nutritionist and exercise physiologist. You’ll learn to Enjoy a Sweeter Life Without Refined Sweets™. Dear readers, please help me to name my upcoming book. You see, although I know what I’m including in the follow-up to Sugar Shock — thanks to questions and feedback I've received from many of you — my wonderful Hay House editor and I still haven’t settled on the book's title. We have a number of thoughts, but right now, we’re going to let ideas percolate for the next week or two. So would you be kind enough to give us your input? Since you’re my target audience, what is a title — and subtitle — that would entice you to buy this follow-up book to Sugar Shock? If my Hay House editor and I pick your title, you'll get several gifts. You’ll get one hour of complimentary coaching from me very soon. And you’ll be one of the very first people to get a copy of my new book, the follow-up to Sugar Shock. That's not all. You'll also get my profound gratitude. Then, I'll thank you in the book. And I'll also spotlight you here, on my Sugar Shock Blog. Even if we don't pick your title, you'll still get a gift from me. I plan to host a teleseminar just for people who've contributed title ideas. In the program, you can ask me questions, get tips to break free and more. Please share your great ideas for book titles now. What should my follow-up book to Sugar Shock be called? And, in your opinion, what is the best subtitle? Now, before I part, let me take a Gratitude Moment. I just want to extend my heartfelt thanks to my new friends at Hay House for deciding to help me help you by agreeing to bring my follow-up book to Sugar Shock into the world. Heal Your Life and Heal Your Body as a way to self-publish her first two books. as a leader in the transformational movement. And now the company is committed to presenting programs and releasing products that have a positive self-help slant and are conducive to healing our planet. Art of Extreme Self-Care, and my fabulous, charming Hay House editor, who gave me the OK to announce this now. Can Do It conference in Tampa in November. only share information about programs or services that I recommend. More Gratitude is Due to Dana Kennedy and Cheryl Richardson. There are two other people I want to thank now from the bottom of my heart. First, my profound gratitude goes to veteran journalist Dana Kennedy, founder of the original, entertaining A Year Without Candy Blog. The articulate anti-candy crusader — who is now on Day 118 without sweets (go Dana!) — is the main person, who pushed me to "Get going" with my next book. Shock. And that paved the way for my next book. By the way, Dana is one inspiring lady. Read my previous post about her here. I also want to extend heartfelt thanks to the inspiring Cheryl Richardson, author of the fabulous book, The Art of Extreme Self-Care. If it weren't for Cheryl, I would never have known about the amazing Hay House Movers & Shakers conference at which I met all those fabulous Hay House people. 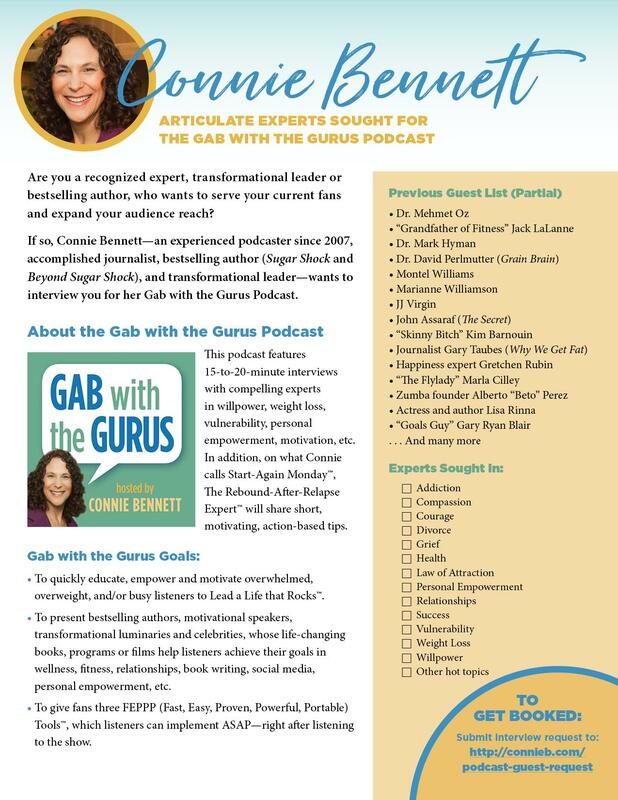 You see, last December, I was finishing writing six required book reports so I could get certified from my life coaching school school (the fabulous Institute for Professional Excellence in Coaching or IPEC). One of our assigned books was Take Time for Your Life from Cheryl. Time for Your Life that I visited Cheryl's awesome website and learned that the following weekend she would be co-hosting a Hay House Movers & Shakers conference. I was intrigued. But it was sold out. However, despite being told I couldn't get in, my intuition told me I absolutely HAD to attend that event. Ever had one of those feelings? I just KNEW in my gut that I had to be there. To make the long story short, I visualized Hay House personnel welcoming me with open arms even though it was sold out, and that's exactly what happened. So without realizing it, Cheryl paved the way for my next book. Thank you so much , Cheryl! So What Do You Think? What Should Be the Title for My Next Book? So have you come up with some ideas for the title of my upcoming book that helps you break out of sugar shock and break free into a happier, healthier, sweeter life? I hope you'll give this some thought as you go off and play, eat healthy foods or try to steer clear of health-harming, sugary desserts. Remember, if your title for my follow-up book to Sugar Shock is selected, you'll get some nice gifts. And if your title is not selected, you'll still get a gift. Please post your great ideas now for the title to my follow-up book to Sugar Shock. Do you have a powerful message that you're yearning to share with millions in a book, through talks or even on your own radio show? Are you convinced that you have transformational information that could really help people? But are you completely stumped as to how to reach all those people so you can change their lives? If you have burning desires such as those I just cited, I strongly encourage you to attend one of the upcoming Movers & Shakers events sponsored by Hay House and emceed by bestselling author Cheryl Richardson and Hay House President & CEO Reid Tracy. Back in December, I attended a Movers & Shakers event in New York City, and I cannot rave about it enough! Over the years, I've attended some 20 to 30 wonderful conferences for authors, speakers, bloggers, social media experts and more, but this Movers & Shakers conference was a powerful event that really pulled it all together for me. "If you feel a calling to serve people and help them transform their lives for the better, then you MUST attend the Hay House Movers & Shakers conference! This is a powerful, transformative, life-changing experience that gives you valuable tools, tips and insights, which empower you to be true to yourself and pursue your vision at the same time. As if that's not enough, you also could make the most wonderful friends." 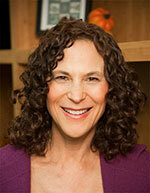 — “Smart Habits Girl” Connie Bennett, CPC, CHHC, Author, SUGAR SHOCK! If you're serious about becoming a Mover & Shaker, I strongly recommend that you sign up now for one of these life-changing Hay House Movers & Shakers events. I predict that you'll be enthused, exhilarated and excited when you meet the amazing Cheryl Richardson and Reid Tracy. And guess who will make an appearance to? The amazing Louise Hay, author of You Can Heal Your Life and founder of Hay House. Do you have an important message to share with the world? Are you ready to take your career to a whole new level by expanding your reach, so you can help thousands of people to improve the quality of their lives? Do you have a dream to write a book, build a speaking career, appear on TV, or host your own radio show? I'd love to hear from you if you attend one of these Hay House Movers & Shakers events. Please let me know what you thought. And I hope to connect with you in the special Movers & Shakers page on Facebook after you've attended. Make sure to tell them that Connie Bennett referred you. By the way, Hay House is the cutting-edge publishing and events company, which also presents the inspiring, life-changing I Can Do It conference in Toronto and the I Can Do It conference in San Diego. Please note that I'm a compensated affiliate for this program, but I'm only recommending it because I think it's fabulous. Today’s post is mostly a short vlog (voice blog) post. You’ll hear a very humorous quote from Dolly Parton about dieting. Thanks so much to my friend Jena LaFlamme, a health and wellness expert, for telling me about this fun quote. By the way, Jena — who shares my passion for living a healthy, sweet life — offers a cool Pleasure Weight Loss Summer Camp with her colleague Marc David. Many of us would-be, health-conscious people strive often (or at times) to cut culprit carbs and shove candies, cookies, cakes and chips out of our lives for our emotional or physical health. Ritchie, Flavor Flav, Seth Green, Spencer Pratt and Kid Rock for using creative, elaborate cakes to memorialize major occasions? I don't mean to unnecessarily entice you with these images (to your left), but I'm amused, entertained and intrigued by these over-the-top, sugary concoctions that People Magazine shares with us in a snazzy photo essay. My sugar-free — albeit sometimes jealous — funny bone nudges me to poke fun of this sugar-filled hoopla in this way: Well, let them eat cake! Hey, sometimes you just have to laugh at — and accept — our nation's habit of celebrating events with sugar-filled cakes. Let's face it, this is a trend you just can't buck. So I invite you to set some limits for yourself at your next beautiful cake-celebrated event. I urge you to have just one teeny, tiny piece — and to have it after a good meal with healthy foods (quality protein, healthy carbs such as veggies and a small amount of fat like olive oil). That's right, I challenge you to partake of one tiny slice! Speaking of challenges, it can be a challenge to figure out how to observe important milestones such as birthdays, anniversaries, weddings, bar mitzvahs, christenings and graduations without cute cakes. So, now I'm presented with a challenge. Given that I don't eat sweets, how the heck should I celebrate my 12 years off sugar on April 15? I invite your suggestions. Because frankly I'm at a loss! Please send in your ideas! In case you're new to this Sugar Shock Blog and your'e wondering why I would want to pass up such delectable treats as those shown here, consider this: Would you rather suffer from 44 horrible ailments or skip the sweets and feel great? That's the choice had to reluctantly make back in 1998, when my doctor ordered me to quit my sugar habit. To learn about my sad-to-sweet story, read it in Chapter One of my book SUGAR SHOCK!